Save the order. When the order status is changed to “Completed” and saved, the system will automatically send the customer an email. 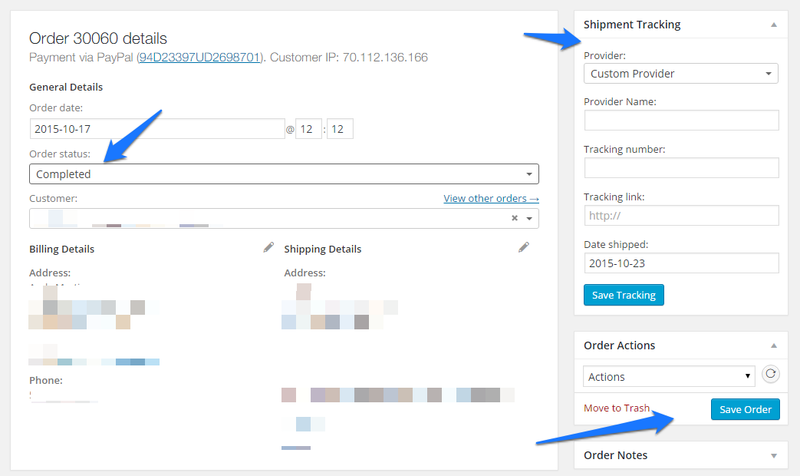 Therefore it is recommended that you add the shipping information prior to setting the order to “Completed” so that shipping information is included in the automated email.